After six years of service at Saint Raphael’s Parish in Blackville and Our Lady of Mount Carmel in Howard, Rev. Joseph Okoko, will be leaving the Parish and the Diocese to pursue graduate studies for his community. A celebration Mass will be held on Monday, August 22 at 7:00 pm. Presentations will be given to Father Okoko at that time. His final regular mass is Sunday, August 28. 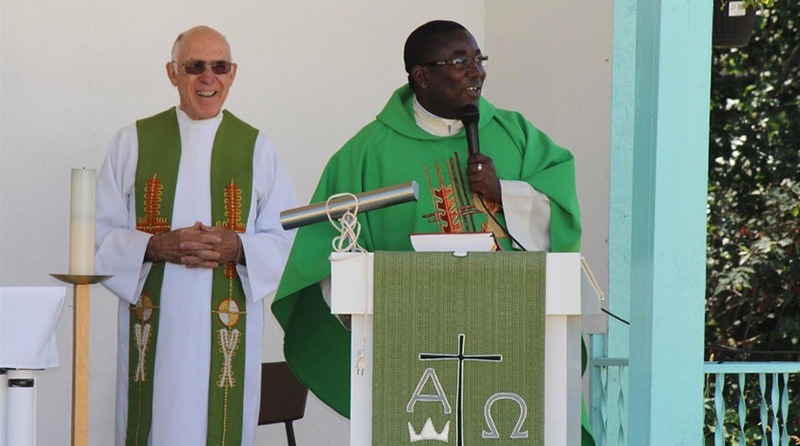 Father Okoko is also Administrator of St. Joachim’s Parish in Boiestown, with its mission of Our Lady of the Annunciation in Doaktown. Effective September 1, Rev. Godwin Kalu of Sts. Simon and Jude Parish, Nackawic is appointed Pastor of St. Raphael’s Parish, Our Lady of Mount Carmel, St. Joachim’s Parish and Our Lady of the Annunciation.